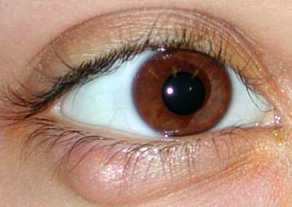 A chalazion is a common medical condition among children. The accepted term for the phenomenon is internal hordeolum. In the eyelids, there are glands that secrete fat. This fat assists the smooth activity of the eyelid and prevents the evaporation of the tears. Sometimes these glands become obstructed due to poor eyelid hygiene, which consequently enables bacteria to reproduce and accumulate within them, and a round, reddish nodule, called a chalazion, forms on the eyelid. The preliminary treatment includes gentle massage of the eyelid area and placing hot compresses. In most cases, the aim of this treatment is to bring about the complete opening of the obstructed gland, and disappearance of the chalazion. In cases where the chalazion does not disappear, antibiotic treatment for the eye (using eye drops or eye cream) can be added. If the problem has still not been solved, the chalazion can be surgically drained.